Iran nuke deal: Khamenei and Iran hawks look to scuttle nuclear agreement. The first fuel is loaded at the reactor building at the Russian-built Bushehr nuclear power plant, on Aug. 21, 2010, in Bushehr, Iran. demanded that most sanctions be lifted before Tehran has dismantled part of its nuclear infrastructure and before international inspectors verify that the country is beginning to meet its commitments. He also ruled out any freeze on Iran’s sensitive nuclear enrichment for as long as a decade, as a preliminary understanding announced in April stipulates, and he repeated his refusal to allow inspections of Iranian military sites. These statements fit a long-standing pattern of behavior by the Iranian leader: Shortly after a tentative deal was struck in April, Khamenei said he neither supported nor opposed it, though a truer account of his public statements on the matter might be that he has done both. Khamenei’s speech came on the same day the Iranian parliament passed a bill containing some of the same demands. The parliament, dominated by hardliners who oppose making concessions to Western powers, has been largely sidelined in the negotiation process and now appears to be making a last-ditch effort to influence it. A poll released by Iran’s state-owned Fars News Agency on Tuesday found that a majority of Iranians want the parliament to have a say in the deal. In the eyes of Iran’s negotiating partners, last-minute bombshells like these can serve only to scuttle the agreement, on which President Obama and Secretary of State John Kerry have spent a lot of political capital and more or less staked their foreign policy legacies. The Corker-Menendez bill that passed in Congress last month makes it illegal for the U.S. to meet some of Khamenei’s demands, and France’s foreign minister quickly reacted to Khamenei’s speech by saying it made a deal less likely. Iran has been put in the impossible position of having to prove a negative. If it accepts inspections based on allegations it knows to be baseless, then it’s opening itself up to an endless cycle of foreign intrusion into its military and security infrastructure, and the inability of inspectors to discover something of relevance will only reinforce the belief that something is being hidden. We saw this happen before in Iraq, and the end result was a war based on flawed intelligence and baseless accusations that left many thousands dead and a region in turmoil. Meanwhile, Iran’s hardliners aren’t the only ones working to blow up the agreement at the eleventh hour. In an op-ed in yesterday’s New York Times, University of Texas–Austin professor Alan J. Kuperman calculates that Iran’s “breakout time”—the time it would take to build a nuclear weapon if it chose to do so—would only be three months under the terms of the deal, rather than one year as the Obama administration has claimed. Kuperman argues that Iran could simply reassemble the centrifuges the deal requires it to dismantle but allows it to keep, enabling it to enrich uranium much faster. Kuperman is not the first arms control wonk to question the administration’s breakout projections. However, other nuclear experts have disputed his three-month alternative timeframe, with one telling Business Insider that Kuperman had failed to account for the time it would take Tehran to reassemble the centrifuges. 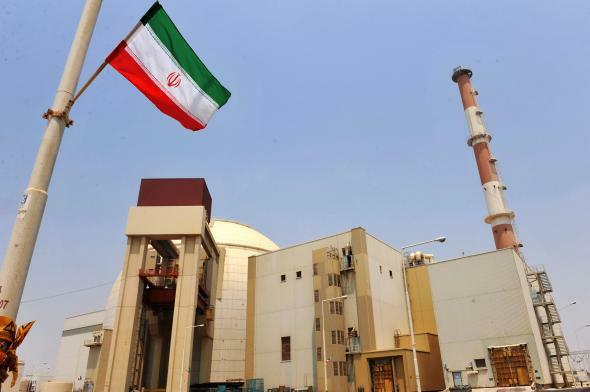 Another development that may complicate the endgame of these negotiations is an Associated Press report revealing that the P5+1 had offered to supply Iran with state-of-the-art nuclear energy technology as part of the deal. This revelation may serve to underscore critics’ fears that the deal gives Iran too much in exchange for too little and that the administration has been dishonest about its details. If the negotiations ultimately fall apart, the good news, as Michael Crowley reports in Politico Magazine today, is that the Pentagon has a “Plan B.” The bad news is that “Plan B” entails obliterating Iran’s underground Fordow nuclear facility with a new piece of military technology called the “Massive Ordnance Penetrator,” thereby starting a war with unpredictable outcomes in a region that has quite enough of those already. If the United States and its partners and Iran manage to come to a deal by end of this month, it will be a break from the pattern as old as humanity itself in which diplomacy is used to conclude, rather than prevent, war. It may prove a milestone, an important step toward making war, and not peace, the aberration.